In 2012, Shaun Ryder mentioned in an interview with Philip Schofield on This Morning that when the Happy Mondays reformed their original line up (Shaun Ryder himself on vocals, Mark “Bez” Berry on percussion, Paul Ryder on bass, Mark Day on guitar, Gary Whelan on drums, Paul Davis on keyboards, who apparently left in 2015, and Rowetta on female vocals) ‘it was just like the old days but without the madness’. Although I have never actually been to a Happy Mondays gig previously, their performance did seem slightly toned down. Personally, I thought the absence of the ‘madness’ was noticeable. With nothing to compare it to however, my opinion on that may be completely irrelevant. This did not stop either myself or the audience from enjoying the gig though. Jon DaSilva, formerly a resident DJ at the Haçienda, acted as their support act. Playing hits like ‘Dennis and Lois’, ‘Loose Fit’ and of course ‘Step On’, the band graced the stage for about an hour and a half as part of their 30th anniversary tour. Bez made an appearance (I say ‘appearance’ – he was present for the entire concert), swaying around the stage, maracas in hand. Rowetta provided additional vocals for certain songs. They played a vast range of tunes from their rather established 30 year careers. The crowd loved it when the band played their most famous songs, ’24 Hour Party People’ and ‘Step On’. People were sat on others shoulders, dancing, clapping and singing along to the iconic lyrics of some of Manchester’s best music. It really was a great experience, one which I might get to relive one day – maybe they’ll return to the Academy eventually? 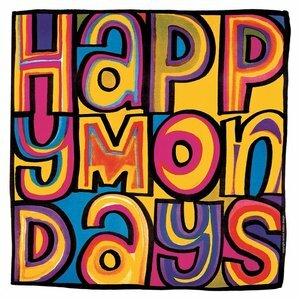 The Mondays were pioneers of rave culture in the 1980s/1990s, most notably at the Haçienda, and in my eyes (and I’m sure in many others too) they still are. They are on tour until late December, playing the final date of their tour in Glasgow on the 23rd.